For chocolate-lovers, there’s no place like Belize. Home to the cacao that infuses every block of this globally beloved sweet dessert, Belize has a long tradition of chocolate making that dates back to the Maya. In ancient times, hot chocolate was the drink of the Mayan elites, and its beans were used as a type of currency. 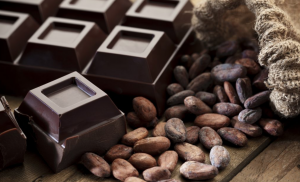 A passion for chocolate still runs deep in Belize, and with growing consumer demand for single-origin chocolate, the industry is going from strength to strength. A visit to Belize isn’t complete without sampling this local delight, so here are a few options to tempt your sweet tooth. A bustling family enterprise 40 minutes from Punta Gorda, Agouti Cacao Farm offers farm tours, traditional Mayan chocolate making demonstrations and cacao tasting. Owner Eladio Pop will take visitors on a private tour of the farm, explaining the cacao-growing lifecycle, chocolate-making process and the tools of the trade. Lunch consists of organic meals prepared entirely using home-grown ingredients, and guests can also enjoy freshly made hot cocoa, cacao nibs and chocolate. An all-in-one museum, chocolate kitchen and Mayan culture exhibit, this EU-funded operation offers a hands-on chocolate experience. You’ll learn about the role of cacao in Mayan culture, as well as how cacao is grown, harvested and turned into chocolate – and you’ll get to try your hand at traditional chocolate-making. All proceeds go towards supporting Maya communities and sustainable cacao practices. To truly indulge your sweet tooth, try a chocolate tour. Taste Belize offers a variety of tours, including factory tours of Ixcacao, the original Mayan chocolatier, and Punta Gorda tasting trips, where you’ll get to sample chocolate samples and hot chocolate from several companies. You’ll even get to make your own chocolate to take home with you. Now in its 10th year, Toledo’s chocolate festival is a celebration of all things cacao. The event takes place over the Commonwealth Holiday Weekend in late May and features wine and chocolate tasting, a street fair with vendors selling chocolate-related items, and a “Grand Finale” with live performances, hot cocoa and traditional Mayan dishes. The event is hosted by the local cacao growers association, so quality is assured! Founded in 2007, local chocolate company Goss Chocolate is a family-owned operation known for its fair-trade, organic chocolate. Each European-style bar is made from locally grown cacao beans and sweetened with Belizean cane sugar. Located just a stone’s throw from Placencia, the company sells its bars and truffles to local restaurants, hotels, bakeries and more. Look for its vibrant containers and posters, all featuring work by local Belizean artist Lola Delgado. As you can see, Belize loves its chocolate. 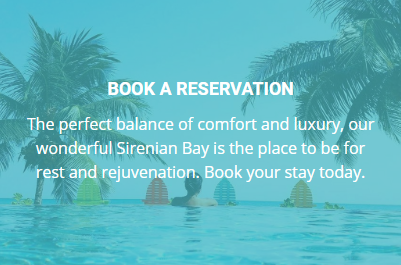 Book a stay at Sirenian Bay, and we’ll help you arrange an itinerary to satisfy the most confirmed chocoholic.